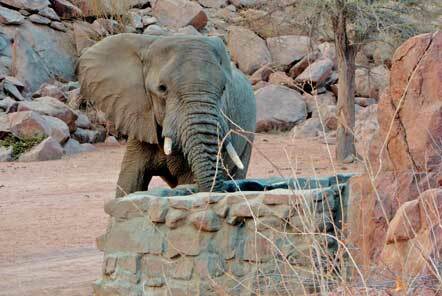 New elephant volunteer project in Africa! 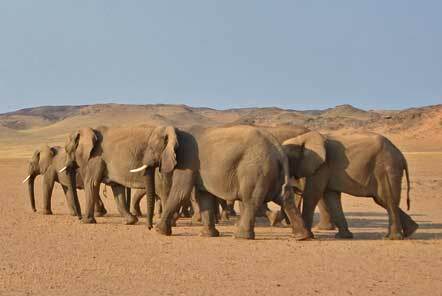 We are delighted to be launching our Desert Elephant Conservation project in Namibia. 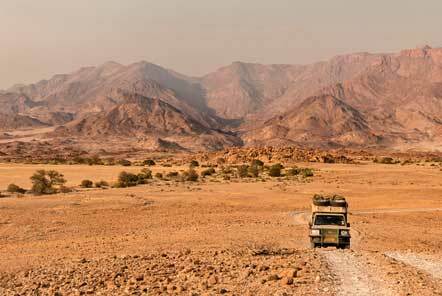 It is an incredible opportunity for volunteers to experience life camping out under the stunning stars in the desert while helping to conserve African elephants. 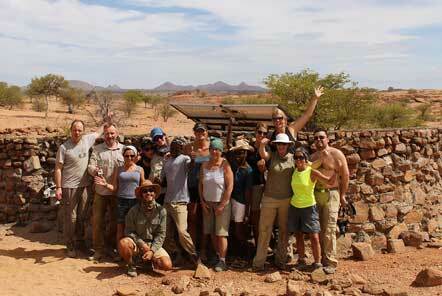 Our volunteers join an award winning elephant conservation team and can fully immerse in pioneering conservation work. 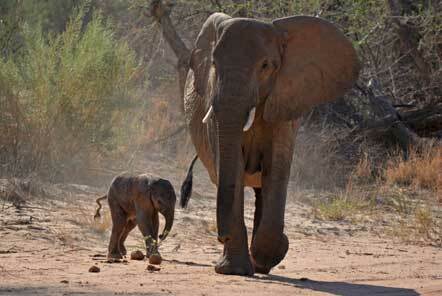 “It was extraordinarily special arriving at the base camp and being welcomed by a passing elephant within 15 minutes! He was such a graceful giant and walked almost silently, it was great to watch him drink from waterhole just behind our camp and after watching us drink our tea for a little while he then wandered off into the sunset! 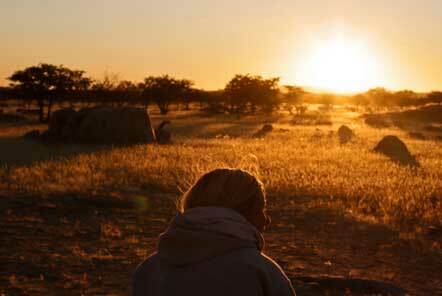 From first arriving in the desert base camp to the final African sunset it was great to see how the volunteer team help improve the lives of the community and are vital support for the elephants conservation in the area. I helped build a wall at a farm and the farmer and his children were so thankful that once they had finished their daily work, they even joined in with our work mixing cement while I collected rocks – it was great fun to work as a team! It was amazing to support the community and help them have a brighter future without the worry of elephants destroying their livelihood. Volunteers join a team helps to reduce the conflict between elephants and farmers by building protective structures around communal water infrastructure and creating separate drinking water points for the elephants. The team also researches the elephants’ movement and distribution, and compiles identikits on both herds and individual elephants. The team seeks to conserve the desert elephant population by conducting research on elephant movements, distribution and complying identification guides on herds and individuals. The elephant’s movements are recorded through their GPS position and mapped online, this helps the team decide which farmland is a top priority for building protection walls. They are of a high national and international conservation priority, and have been designated as top priority for protection by the IUCN (International Union for the Conservation of Nature).